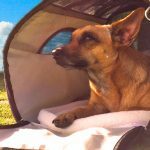 As policies relating to the transportation of pets vary by airline and time of year, please contact your airline directly for details. Any animals, accompanied by properly authorized law enforcement personnel specially trained for emergencies such as aircraft, vehicle or vessel disasters or for use in law enforcement such as the discovery of drugs and other contraband. Guide/Service dogs are not considered “pets“. 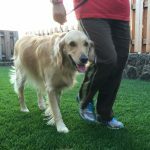 Guide/Service dogs may qualify for modified State of Hawaii rabies quarantine import requirements under strictly enforced conditions. For more information, please visit the HDOA’s Guide and Service Dogs page. 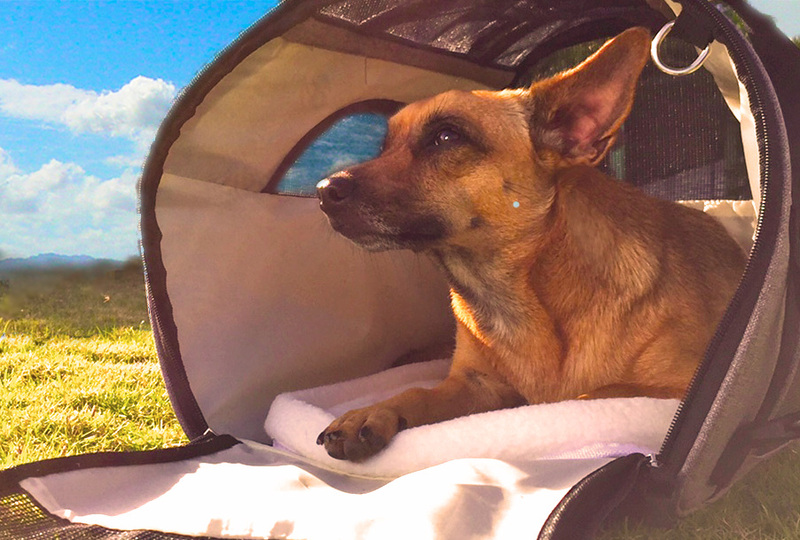 You may also e-mail, call or write the Animal Quarantine Station, 99-951 Halawa Valley Street, Aiea, Hawaii 96701-3246. Telephone (808) 483-7151 Fax (808) 483-7161. E-mail: rabiesfree@hawaii.gov or hdoa.info@hawaii.gov. 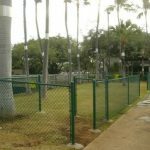 HNL has a fully fenced in grassy area under palm trees between the International Parking Garage and Terminal 2 Parking Garage where service animals, pets in transit and working airport animals can take a potty break. 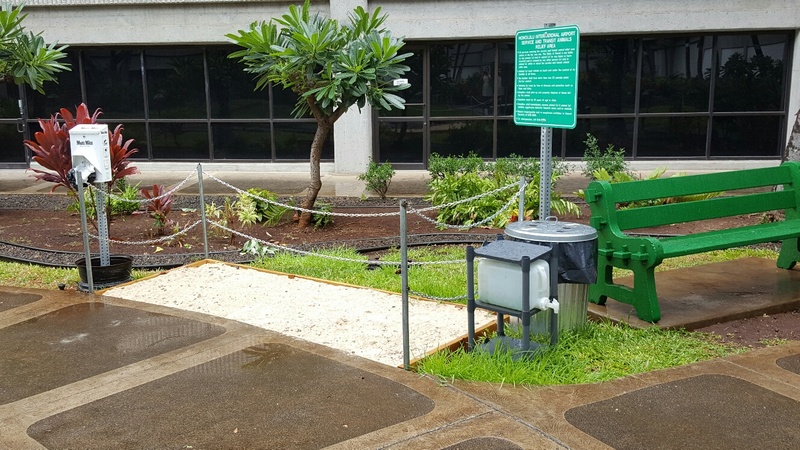 HNL provides fresh water, plastic bags and a trash receptacle for handlers/owners. The areas are partially enclosed with a low fence and are identified by signs. We encourage the use of these areas and request that owner tidy up after their pets. While the area is fully enclosed, the airport requires all animals to remain leashed and under the direct control of its owner/handler. 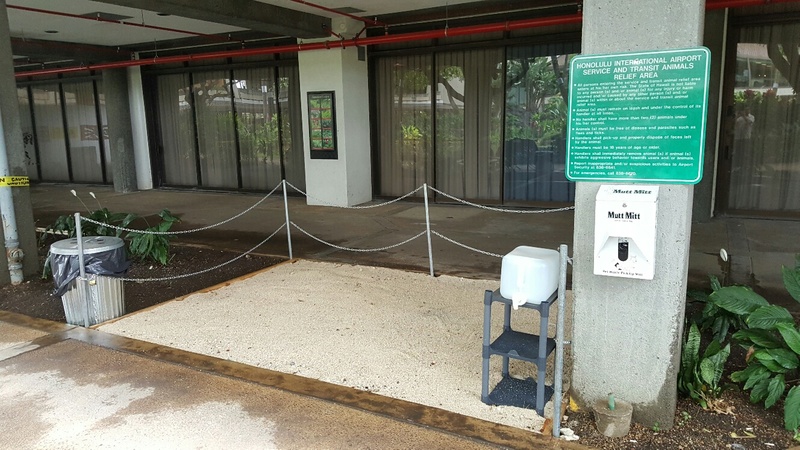 HNL has opened two additional Service and Transit Animal Relief Stations in the Sterile area. They are located at Terminal 1 ground level, in the C.B. Lansing Garden and in Terminal 2 ground level in the Hawaiian Garden. Report inappropriate and/or suspicious activities to Airport Security at 836-6641. For emergencies, call 836-6670. For a map to the Relief Area, click here.